The Maine heating oil company has been offering electricity to employees since the fall. 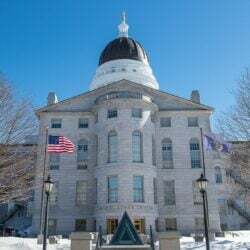 PARIS — A western Maine heating oil company that operates gas stations and convenience stores is the latest to enter the state’s electricity market. Paris-based C.N. Brown says it will offer competitive electricity rates across much of Maine. Jeff Brown, president of the electricity division, tells Maine Public Broadcasting Network that the company has been buying electricity competitively for its offices and stores for a number of years. It began offering electricity to its 900 employees last fall, and now hopes to sell power to its 30,000 home heating oil customers and other interested consumers. Maine has allowed competitive electric providers for more than a decade, but only recently have competing companies begun selling power. The largest competitive electricity supplier, Electricity Maine, opened in 2011 and now has nearly 190,000 customers.